Mean Girls: giving us Kevin G’s rap, Glen Coco and defining the rules of feminism since 2004. Today marks the 10th anniversary of Mean Girls. I know right… shut up! 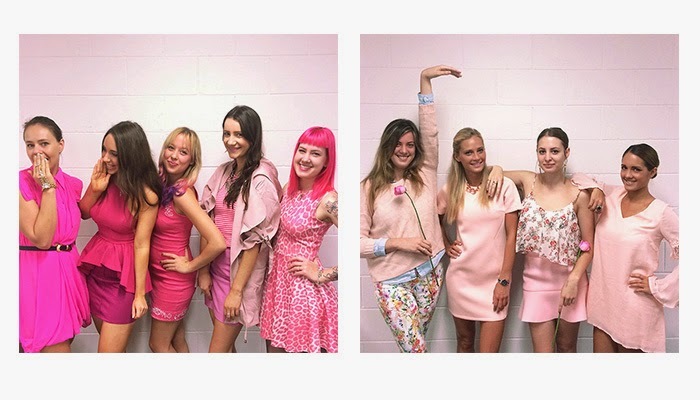 You know the rules: On Wednesday’s, we wear pink. Gather your besties and pay homage to the most quotable movie of the century by quoting every single line. Check out what we wore for the occasion! Pink is trending right now, so jump on the bandwagon while it’s fetch! Okay, we’re sorry… we’ll stop trying to make ‘fetch’ happen.